I will be out of town today and tomorrow moving my daughter to Southern California and I may not be able to get a post up tomorrow. During this time I would like to get your ideas on a subject that I think is important to all of us. A week ago Sunday I had the opportunity of attending an Open House and viewing two tiny houses. It was fun to see the houses completed but the real exciting thing was meeting new people who have the same passion I do for tiny houses. It got me thinking that this should happen all across the country and the world for that matter. What I would like from you are suggestions on how we might make this happen. Please use the comments area to submit your ideas. 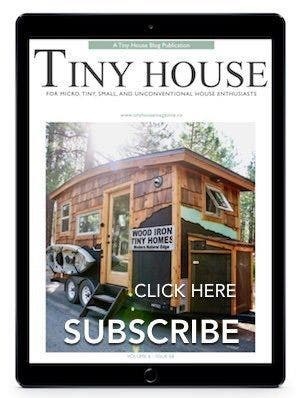 Those who receive the Tiny House Newsletter were asked this same question last week and here are a few of the suggestions that have come in so far. Hi, I love these houses. I’ve taken a class in cob building and the way they are getting that movement going is to hold a class that builds a cob home or structure for someone. The person wanting the structure, hosts the workshop and people come and pay to learn to build it by building it! Instructors receive the money for the instruction, people learn how to build, and the people wanting the structure get it built to the amount they decide a head of time. Everyone wins! I know Teresa’s suggestion about workshops works well. 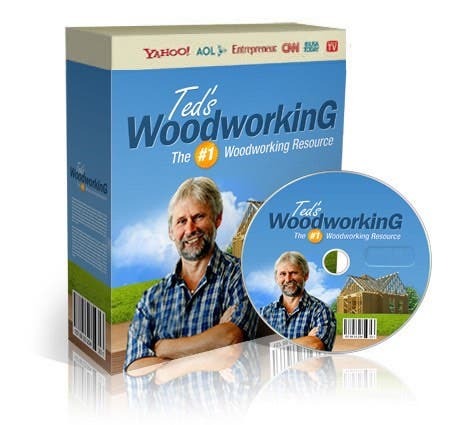 Dozens of people now offer all types of natural building workshops. There are free workshop calendars and bulletin boards on the Internet. It’s probably just a matter of time before qualified trainers/builders catch on to this particular market opportunity. There’s also lots of free weekend natural house gatherings (house raisings), where owner-builders get assistance from volunteers and volunteers gain experience. These gatherings benefit from having skilled builders/trainers on board. There are hundreds of ways to get your message out. I think the key is to ask, for what purpose? Personally, I believe we need advocacy groups in each state to change property laws. Some geographies won’t allow you to live in a home smaller than a certain size, others tax on unused land, and still others make it very difficult to get permission to build with sustainable methods, i.e. cob, straw bale, earth bag, or the earthship concept. I really like these suggestions. I’m struggling with feeling extremely “grid tied.” It’s difficult to even know where to start. To find local chapters, or locals in my state with a similar mind set would be a huge help initially. Right now, a majority of people just think the idea of a Tiny house, sustainable living, or “off grid” living is weird. I second many of Paul R’s comments, but from a viewpoint of the United Kingdom. Planning regs here are firmly stacked against the self builder and many local authorities (who ultimately call the shots on “development”) are not keen on anything other than bricks and mortar builds. It seems particularly insane in a country where the population density is higher overall than in many other places. But getting the tiny home movement spread to the UK would be a fantastic thing. Particularly moveable/sectional homes that could be relocated, as part of the employment problem over here is that people are physically tied to a location by their accommodation/home ownership issues. Many of our homes fit the “smaller homes” category sizewise anyway, so the leap to a tiny home isn’t much of a space reduction for some! I agree that we need an advocacy group–some sort of org that focuses on keeping sort of up-to-date on zoning laws, maybe makes cheap legal counsel available, and help organize the tiny community. What I would like is to have someone (that I trust) manage a private directory (I wouldn’t want to have my private information publicly available), get in touch with folks in particular areas, and have folks sponsor open houses around the country on some kind of semi-regular basis. All house building is local! No conferences and seminars except locally………..UNLESS they’re done electronically. Far Far too much flying hither and yon when the same things can be accomplished via internet, etc. Your presence on the networking sites is a HUGE way to do it. So how do you find people and houses near you? What if we were to run “Street of Dreams” type function that shares info on tiny houses, promotes vendors of tiny houses, run workshops, generally have a party. If we were to run them nationally, but act locally, we could see if there are small farms in each area that might sponsor the event, so we could hit two great ideas with one stone: local food, small houses. I think it a great idea to try to get those interested in tiny homes together on a state by state basis initially. Perhaps, as Teresa stated, getting together around a workshop, or to view others already built tiny dreams. I am working on converting a 60+ year old shed into a studio work space. I would love to share with others in my area the experience and my future plans for building a tiny retirement home. I think local facebook groups sounds excellent since that is such an easy way to network for many people, especially younger people. I can imagine tours being organized using that method very effectively. I definitely like the helping-each-other-build idea, and I think the networking necessary to make that happen could happen through a group like that. Number 4 in the current list is “Location Map of People with Tiny Homes”….you could add to that, Anyone inthe building stages of a tiny home and any one interested in Tiny homes even if they dont have their own yet, but may be willing to help those that are just starting out building one, they could ask that their names be placed on the list as a resource…if they were interested in helping the person with time on the job physicaly helping, or with help gathering resources from craigs list pickups etc, there are countless ways someone might help those that are building their own home on their own and need a helping hand. It would be a way to get others involved even if they dont have their own tiny home yet. I would love to help someone make their dream come true by lending a helping hand where needed. I hope the above makes since I am kind of tired this morning…Just my 2 cents. I like suggestions three and four the best. I would be will to help someone else build their home for the experience to learning how to do it myself. I bet there are others who feel the same way. Thanks for all the great info! perhaps a resource list. like places where people can get recycled stuff. I was in white river junction vermont and there is a wonderful salvage place. vermontsalvage.com where they were filled with doors and windows, sinks – you name it. One of the main things I would like to see is educating our local city building departments. They are so vague on what you can or cant build and have no idea what you are even talking about when you approach them with your plans. I can park a park model on my lot as long as its 399sf or less, but I can only build a 10X12 shed on my lot? None of it makes a bit of sense. I am in WA, Snohomish County. This nexus has become a central point for a lot of diverse people interested in living more simply, affordably, and sensibly. It is fascinating that a lot of what goes on here is very much what magazines/sites like Mother Earth News and Backwoods Home are about. So I’m impressed with some of the suggestions here and put it in context of an even larger audience. Big barriers for us? Local codes right now. So we raised awareness and advocacy is important. I also would love it if we had something coalesced into a “how to” of navigating land choices, building, code compliance, and obtaining variances to codes. Also perhaps clever, simple, and inexpensive ways to do things (cooking, laundry, space, living, hygiene, etc.) that we normally do in wasteful ways today. 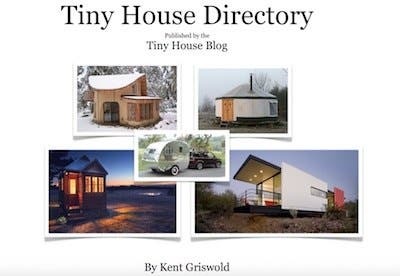 Perhaps even to e-publish the “Tiny House: Big Ideas” compendum so that people could read it free in .pdf or e-book formats. Finally, I think maybe some kind of design contest or??? Perhaps even sponsor something that we roll out to as many schools as possible for the next generation. I like the stuff that http://www.duckworksmagazine.com does with homebuilt boating. They have a good system going for an interest group. But I’m pie in the sky and not good at rolling up my sleeves. It is a lot of work and effort to do all this. I’m 100% down- and have emailed about the same thing in my blog, and in the threads of others. To anyone in MA, RI, NH, etc. lets get something together… it’d be too much fun! Sept 24-26th- I’ve been asked to take part in the Make Magazine Maker Faire too in Queens, NY- which looks like an incredibly huge, amazing, convention full of nerds, techies, and micro-dorks such as myself…”The Boxy Lady” (which you’ll see REAL soon on Make TV/Make’s Blogs) will be making the 10 hour roundtrip journey for this uber-cool freak fest. I’ve also been slowly piecing together a hands-on building curriculum for a MA based building tutorial (a day, or weekend) based out of my own yard). The session would be shot on camera and become a “Tiny Yellow House” episode too. Details to come- eventually…. disclaimer – i’m a city gal, so I live in a tiny studio apartment, not a separate dwelling. but I find a lot of overlapping goals/rewards. As a builder of a Micro Home on Vancouver Island, we will have our show unit ready in a couple of weeks. The City of Nanaimo has generously allowed us to use a city owned lot for a period of two years to showcase our Micro Home design, green building practices, rainwater recovery, and anything else that we can think of! We would be more than happy to host a meeting if there was enough interest on the Island. I’m going to be on the island in Oct (near Victoria) and I’d love to come and see your little house. Is it along the main street in town? Easy to find? Most people who are interested in tinyhouses don’t have one, so it wouldn’t make sense to exclude these people. To change the municipal laws, we need people in the same area to be able to get in contact with one another – somehow or other. It seems pretty clear to me that that’s a prerequisite. Also, we want to reach as large a fraction of the interested people as possible. I also think it’s important that information be well filtered before it is pushed out to members. For Instance, I don’t subscribe to the tinyhouse newseletter, because most of it is of no interest to me. People will end up ignoring stuff, including a blog if there isn’t anything interesting happening. One approach is to post interesting info in the blog, so people keep coming back and checking it. That’s very hard to do, though. Another is to push info out to people, whether with then adding you to their RSS reader, or directly to their email address. To get a large fraction of people to give out there email to you, I think it is important to make sure they will not be bothered with long emails most of which are not interesting to them. I’m not saying your newsletter is not good for what it is for, not at all, but if you wanted something to get in contact with others to get them to sign a petition to the local municipality (which you know they are interested in signing,) a regular newsletter wouldn’t be a good way to do it. Too much noise, not enough signal – so when there is an important signal, it doesn’t get through. Oh, I have an idea, too: Seven degrees of separation. There was that experiment that I think Stanley Millgram (?) did, where you send a letter to one person, simply asking them to send it to person by the name of X in city y or whatever, if you know them, or send it to the person you thing is most likely to know them if you do not, and ask that person to do likewise. If the this letter chain is not dropped after the first 7 hops of doing this, it will almost always reach it’s intended recipient, no matter who they are, anywhere in the world. I think something like half of the letters got dropped, but the idea that the degrees of separation are there is shown. Tinyhouses enthusiasts could reach other highly interested parties, and each other, in a similar way, I think. If you had something really important to say, a way for people to get in contact with each other and change the law (or something) that you knew would work really well, if only tinyhouse enthusiasts knew about it… Sending emails with instructions like used in the 7 degrees experiment to some of your friends, but asking them to forward the email to the 2 people they thing are the MOST interested in tinyhouses, or the most interested in this particular piece of information, could quickly reach all the most interested people in the city. Heck, why the city? Why not do it for the whole world? But it should be a very good piece of info, because it might not work as well a second time. Hm. Sorry, but I just can’t resist one more comment. It seems to me like you really want to find all the largest number of the *most* interested people in a city to change the laws. Not just a large number. What matters to politicians is (aside from more corrupt interests…) the cumulative interest or desire. Not just how many people are a bit interested, or that a small group is deeply interested. That interest will necessarily show, too. If someone is not interested enough to do more than sign a petition, the politicians will notice. It can be hard to get people to do more than that, but handwritten letters matter precisely because they are more work. So we need not just numbers, but to get in contact with the real interested folks. 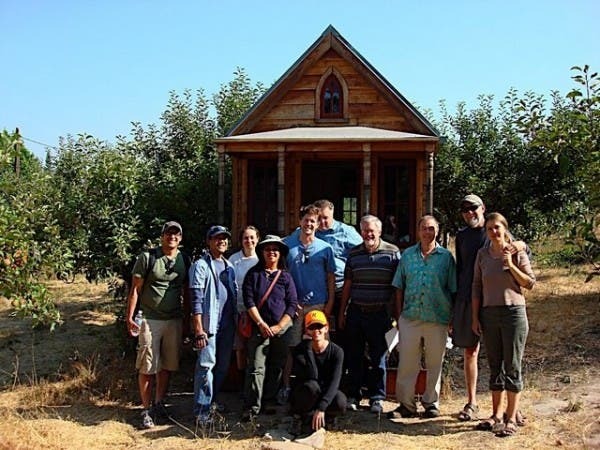 Tiny House tours could be done like garden tours with many open on the same day or with just one open house at a time. Like minded people come together. 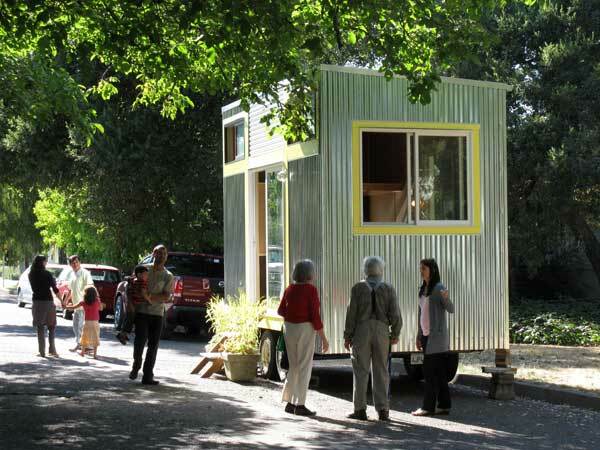 Community is created along with tiny homes. BTW http://tinyhouseblog.com is one of my most watched websites. Maybe you can setup a “map” or a geographic directory on the website that we can input our locations. If enough people respond in a certain area, they can facilitate some sort of meetup, gathering, etc. Don’t feel that you have to coordinate everything. Just realize that many people visit your website and having the ability for us to “browse” who might be in each other’s neighborhood would be a good start. 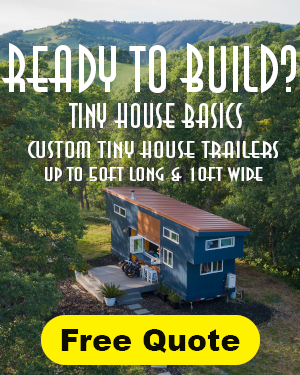 Sending people out to other websites will cause people to drop off…we don’t go to facebook or meetup to read about Tiny Houses…we go to your site because IT WORKS!!! We really need to educate and communicate with local Zoning Departments with local Counties & Cities to get the laws changed. Remember, they don’t bring in a lot of money in revenue on Tiny Houses. Tiny Home Communities scan be set up according to interests of the dwellers. The possibilities are endless. Ryan Mitchell here from TheTinyLife.com, I have mulling ideas about this very topic for some time now, I think it is a very good next logical step. I would like to find someone with a Tiny House (or a few houses) come together, offer tours and then a few information sessions. I live in Charlotte, NC and would love to host (i can travel too) here I have access to space to meet, a parking lot etc. You are close enough to me! I am in west virginia, I have a yurt, I would be happy to show, but also want a tiny house! I would be willing to meet in Charlotte, NC or Upstate South Carolina. Also, countryplans.com has a lot of good applicable information. They include a thread on Tiny houses. I have shown some of your blogs to others and are well received. We all share so much in common and is neat to know others see the light too. Code enforcement needs to be changed to allow more flexibility with Washington state being one area I know that has huge issues. I love the ideas presented here and would very much like to meet up with others in my area. What a great country and world we would have if we worked together for the good of all and the planet. Btw this site could never bore me. For what its worth, I think meetup.com works nicely. I can almost imagine meetup groups that do something of a barn raising. Arrange for a person that wants a tiny house to get the materials and tools, and have other people volunteer to build it. But do it all in a very public place. Try to get it done in weekend so people walking buy can stop and watch it done and ask questions. This way you get people interested together to do the building, and you get to expose it to people who don’t have any idea what it is. et (above), and others here hit the real issue: there must be a change in the local codes. The biggest problem for tiny houses is the houses themselves, but where you can legally put them. I am not a lawyer, but when a big issue comes up that has a nationwide impact, there is a national group which drafts a standard code that can be adopted by states. Example: I believe one is now in the works for electric power transmission lines. Jay Schaffer has come up with a good start in the post cited by et, but what would be really helpful would be for an attorney (or group of attorneys) to draft an amendment to the IBC/UBC which an individual (or group) could present to the local governing body and work toward its adoption. The draft amendment should be complete and carefully drafted so that its can be adopted as is (or with little modification) and it would effectively allow for building tiny houses. Jay in his post also hints at the underlying issues here in regard to tiny houses: a fear of declining property values and health and safety concerns. Both of which can be effectively (and creatively) addressed by individuals and groups that want to effect change in their own locales. 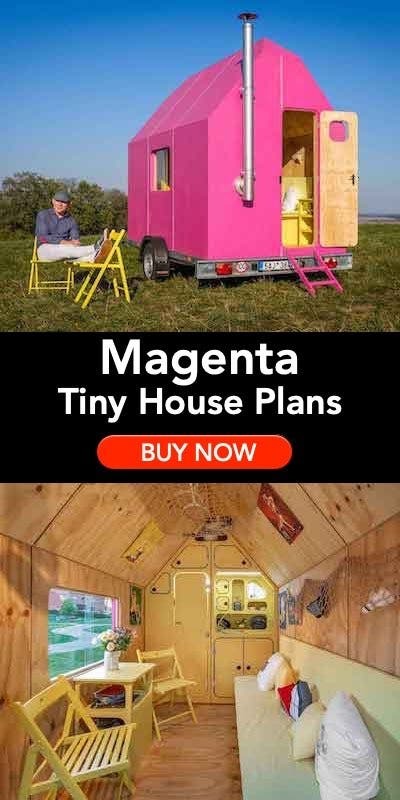 There are two tiny houses on the market in my town, no one seems creative enough to figure out how to live in them! We have an active historical society that wont allow additions to be made. Do we have any Floridians here? I’d love to meet and I’m willing to travel, but it would be great if we can get a Florida group together. Perhaps a regenal listing, you know, NE, Mid atlantic, etc. Also if more of your readers contributed posts about what they are doing and where. I would love to tour a house or help build. If anyone knows of any contacts in the midatlantic please let me know. thx! I agree Alfred. Property taxes are based on house size and where I am currently it seems to be encouraged to build bigger to generate more revenue especially Washington’s west side. My true home and roots are on the east side where country is in and city is out. Would very much like to learn building skills to help others and get help with my place too. Coordinating meet ups great idea. The East side is far worse than the west side, it is getting awful over on the Bellevue issaquah side and slowly mini mansions are making there way clear into Duvall and beyond. Either way this topic shouldn’t be about bad mouthing are areas, city’s or states, rather should be how we can fix them. Help! Love all these comments, but can’t find the one I left yesterday. Want to know if anyone has used a shed from Home Depot or Lowes to start with? Also would agree with most of you that small area groups are the easiest way to go. I’m in eastern NC. I live in eastern NC and am interested in Tiny houses. I would like to help build or visit tiny houses in the area. I wish I could build my own tiny home and this would help get my courage up if I decide to go that route. I always stop and look, walk through those sheds and think the same thing. One problem is, if you buy it ready-made it will have been put together with nails, as opposed to screws and bolts. I live in New York near Woodstock. I would love to host a gathering of small house people next summer. I am building on a place near here and we already have two small cabins on the land. Thanks for having the best micro home blog on the Internet! Our two level micro home demo is currently set up as a micro office with a full sleeping loft but it is easily convertable to a micro home. Anyone who wants to see it is welcome if they make an appointment. We are firm believers that micro homes are a very large part of the solution to the homeless problem,and we are all for any activities that will promote them. I like open house activities. We recently showed our 128 square foot model to a group from Haiti, and they were really excited about it. We also believe that the costs should be kept as low as possible, and that is why we are manufactureing pre cut frame kits starting in Setember. The micro home business is not about the money. It is about helping people, and also creating jobs for Americans by manufacturing micro home components. For us, at A to Z Global, profit from micro homes is secondary. 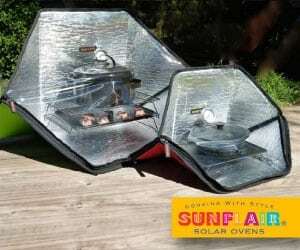 We earn our money selling other products. The bottom line is about people needing homes and jobs, and not about high prices and making excess profits. There are other ways to make money. We are seeing prices per square foot that are totally insane! That problem will soon settle out on its own. It’s called competition. Let’s all just get together and help people have a decent place to live. Thanks for your great Blog! No disrespect intended Jeff. The east side to me is of the Cascades in eastern Washington. Yes quite agree about issaquah area. I’m just a country girl stuck back in the city near there and trying to eventually go home. This is why I love this site as it helps to know others yearn to live a simpler freer life like me. How about contacting high school building construction classes/instructors, educating them on tiny houses so they would build one and auction it off – anything done in local high schools usually gets lots of notice. I hosted a meetup in San Diego, CA last year and will be hosting another one this spring. If you’re interested let me know. I love the idea of potlucks and have hosted many over the years. I’ve been living in my 12×16 cabin about 1.5 hours south of St. Louis, MO and would love to host a potluck. We have 3 small cabin structures on our site as well as a chicken coop greenhouse with a bit of land and a lake. If folks wanted to come out for an all day event of food, fishing, and discussion I think that would be most eggcellent. I think the facebook and map ideas sound good too though the realism of an on-site experience might be more helpful for folks. I’m going to start pulling together a list of people interested in hosting open houses, potlucks, etc. and post them on the blog. I will also be looking into the map idea and see if I can implement it in the blog somehow. I don’t know if any one has heard about http://tinyhousevillage.com (I used to know who it’s run by…but I can’t fin the link now, oh well). It’s a chartered community ($12 USD membership fee per year) of people from all over the US about 250 strong that either own tiny house or have intentions of doing so. They aren’t accepting members now (I keep checking back! ), but hopefully they will be soon…? Also, since I’ve done some searching and can’t seem to find groups for the area I’m in, I’m going to just go ahead and start a group for the West Michigan area (should we gain enough momentum to need to divide up further, then so be it!). I’m doing it on Facebook because I have a hunch that people will enjoy not having another social networking sit to keep track of. Holler at me if you’re in the area! Here’s the link to the group for all you west Michiganders. For all of those in the North Carolina area wishing to tour a small home, I live in a Tumbleweed home Of 350 sq. ft (450 w/loft) that I am willing to show you. I’m located about 20 miles north of Durham. Mike, I don’t know if you will ever see this or not, but my husband and I would love to see your place! We live in Winston-Salem. If the offer still stands, please email me at mckekj0 … the domain is wfu.edu. Purchasing a tiny home here in Austin (Athens builder) has been unpleasant so far. I love my tiny house but ended up in a RV park. Desperately seeking a tiny house community in surrounding areas of Austin where i can rent/own a peaceful lot. Im all ears to anyone that can make a helpful suggestion.